Just the other day I had a conversation with a friend who’s also a mom. After chatting for a while we both walked away saying we enjoyed our talk and that we felt a little bit better for it. What did we talk about? Being a mom. And that mom life is hard. Did we offer each other magical solutions to make our lives easier? No. Did we tell each other how to fix our problems or how to magically have a clean house every day? Absolutely not. So what was it that made a difference. Three little words, (that are really huge): I get it. I do! I get it! I understand when you tell me that the laundry is never ending. I am right there with you when you say that that you’re worn out and exhausted at the end of the day. I have lived through it when you say that your kids whine and complain about helping out around the house. Dear friend, mom life is hard. Even if it’s been your dream your whole life to be a mom. Even when you love your kids so much and you really want to do everything for them. But you just can’t. Yes, there are snuggles and kisses, and there are a million joyful moments of watching them grow up. (And, of course, that’s why we actually do it.) But there are hard days where no one listens and there is so much to be done. So I’m just here to say, I get it. Maybe I don’t have the same kids or the same life situation, but I get it. And really, most of the time, I think that’s the best encouragement we can give to each other. You’re not alone. I’m here walking that road with you. And in a time of “perfect” social media posts, I want you to know that I don’t have it all together. I’m still figuring this thing out too. So momma, go hug your kids. Tell them you love them (even if they’re dirty or whining about something). It’s a season and it won’t last forever. And go text your mom friends. Tell them you get it too. School year here we come! We’re getting ready to start back to school and I wanted to do a preview of our curriculum for this year. Phoebe will be in first grade and Phin will be doing a Pre-K curriculum this year. We’ll be doing a lot of subjects together with all the kids – it is mostly for Phoebe, but Phin will listen in and learn some and Asher and Seth will be along for the ride. This year we are continuing with Saxon Math. We started their Math 1 book last year, so we will continue on with that until we finish and move into the next book. I decided to have a simple curriculum for Phin’s PreK year. There are plenty of resources online that I can pull from, but I do well with an already laid out plan. We decided to use “The Good and The Beautiful PreK” and so far I really like it. It’s mostly focused on learning letters and number and it uses games and activities which is REALLY good for him! I’m excited to try this out and see how it works for us. I may add a math curriculum later in the year, but we will see. We are using “The Mystery of History” curriculum and I’m so excited about it! It was very highly recommended to me by a friend and I’m hoping it will be a good fit. We will mostly be reading it all together and doing some of the suggested activities for younger students. Phoebe is doing a co-op class for science and using Apologia. All the kids enjoy listening as we read the book together, it’s definitely one of their favorite subjects in our homeschool. That’s it! We’re trying to keep school simple and FUN, but the kids are also really learning a lot. Do you homeschool? What are your favorite choices for this year’s curriculum? It’s almost time for Back to School! OK, well, for homeschoolers that may or may not be true. Maybe you homeschool year round, or maybe you started school in July, or maybe you’re not starting back until September – you can do whatever you want! But we have chosen a traditional school year so we’re getting ready to start soon! These are some practical and fun things I’m planning for this school year. Side note: As a fairly new homeschool mom, I sort of feel unqualified to offer “homeschool tips”. I’m still figuring some of this out! But I’m also a second generation homeschoolers and was homeschooled from kindergarten to twelfth grade, so I do have a little experience under my belt. Homeschooling offers lots of freedom and flexibility, and while we love that, it’s helpful to give your kids (“students”) an idea of what to expect from day to day. It doesn’t have to be a rigid schedule of time blocks (unless you want it to be), but a general idea of what is coming next is helpful. I’m planning another post on our family’s routine soon! Maybe take some time to explain the routine the night before, or on the first day of school and then implement it each day your first week to get everyone used to it. I don’t know about you, but lunchtime can be a little hectic and I can end up standing in front of the fridge just wondering what to feed everyone. You might consider it a perk of homeschooling that you don’t have to pack lunches every day, but planning ahead can create a peaceful mealtime with minimal interruptions to your school day. You can make this as simple or as involved as you want. You could prepare lunches the night before (Maybe even put it in lunch boxes for fun!) or just make a note of what you’re planning to eat. If you have older kids who can fix their own lunch you could put a “Menu” on the fridge of lunch options that are available. I recommend some Simple kid lunch ideas here And don’t forget your own lunch! My favorite is to have a salad for lunch (which I eat with lots of dressing!) so I feel like I had something healthy and filling. As homeschool moms we are with our kids ALL the time – which is great! But it can also be exhausting. With little kids, nap time is a helpful time to take a breather and refocus for the rest of the day. But older kids (and moms of older kids) need rest and quiet too. So I recommend that you have a set “quiet time” every day. After lunch in the early afternoon seems to work well, but do what works best for your routine. Send everyone to their own space for rest or for reading, drawing, listening to music, even playing quietly. My younger kids still nap, but my oldest has time in her room and has a clock so she knows when it’s time for her to come out. I use that time for my own rest or reading. There is plenty of work involved in schooling our kids, but I always consider that my biggest job is to help them develop a love for learning. I don’t want to just stuff them full of information and hope they remember it. I want them to discover how to learn for themselves and to dive into subjects that they are interested in. And I truly believe that when they think it’s fun to learn, they will learn more and learn well. Let your kids choose fun science projects, or make messy art. Read books with them about adventures and wonderful stories and about nature and the world around us. Math facts are important, but alongside those be sure to play games and sing songs and enjoy the journey. We are looking forward to a fun year and I wish you the same! This is my latest post for Birmingham Moms Blog! People always ask if my pregnancies have been similar or different (usually it’s a question of feeling different with different gender babies). But my first pregnancy is so much harder to compare with the others. Why? Because it was my first baby and I only had to worry about myself and the baby on the inside — not other littles that were running around outside my body! If I was tired after working all day, I would tell my husband the dishes could wait in the sink while I lay on the couch. But with my second, third, and now fourth pregnancies, things have been very different. I still don’t have a lot of energy during the first trimester, but there are a lot of people counting on me and I have to keep things afloat a lot more than I did that first time. So how do you survive the exhausting first trimester when you have other kids running around? These are just a few things I have found helpful. We are officially a couple months into “real” homeschool journey in kindergarten. Phoebe misses the kindergarten age cutoff for public school by about a month, so if she were going to public school she would not be in kindergarten this year. But we felt she was definitely ready to start some formal learning and that’s one thing I love about homeschooling – the flexibility to do what works for each child! And we will just see where she is as she grows, whether we need to slow down or keep going. But so far it’s going great and she loves it! We chose a gentle kindergarten curriculum and so far I’m very happy with our choice. I had read a lot about Charlotte Mason teaching methods, and I love the idea of reading and learning around what she calls “living books”. As a little bit of a type A personality, I felt like I needed a really concrete curriculum to feel like I was covering all the bases. I’ll be completely honest. Last year we did preschool at home, and while I loved it and I do feel like Phoebe learned a lot, I just wasn’t very good at being consistent and I wouldn’t prepare well ahead of time. So when I found a curriculum that was all planned out and told me what to do every day I was stoked! I know that doesn’t work for everyone, but right now since I’m homeschooling and have a preschooler and a baby at home too it just helped me to have it all laid out. Not only is it a great curriculum with learning letter sounds and learning to read, it’s also ALL about the world around us and both Phoebe and Phin are enjoying learning about creation. So far we have talked about things like the science of leaves and trees, the sun and moon, and learned about apples and different types of animal homes. We get to do crafts and experiments mixed in with handwriting practice. A lot of these would just get left out if I were planning it on my own. But the curriculum is FUN! There is plenty of play included, like dancing to classical music and tracing shadows outside. And of course, we read loads and loads of books – my library card is certainly getting a workout! We have added a few things to the curriculum just because I feel like Phoebe is benefitting from it. You do not have to add anything to the kindergarten curriculum. We are using “Teach Your Child to Read in 100 Easy Lessons”. We had already started it and so we are continuing. We are almost halfway through and I’m proud of how well she is doing. We’re also using Math-u-see Primer. It’s a good base of math skills. Phoebe really likes it. I’m still not sure if I love it, but it works so I can’t complain and we’re going to finish it, so I’ll hold off my review on that. One thing I love about My Father’s World is that they have really thought through making it work for a homeschooling FAMILY. It’s easy to incorporate younger children into what we’re doing. And if we continue to use it as we get into the upper grades of the curriculum it combines a lot of the work for the whole family. That way the teacher (i.e. me) doesn’t have to prep multiple lessons for multiple students, it just teaches a lesson and gives assignments for each student based on grade level. We’re a little ways away from that, but I hope that will work well for us one day. So that’s our Kindergarten plan! I’ll be sure to post a review when we’re finished to let you know how the year went and my thoughts after doing the full curriculum. Attend or start a playgroup – Playgroup can be so simple if you just get started. All you need are some moms, some kids, and a place to meet. A group of moms from our church gets together every other week. We take turns hosting at different houses so no one person feels overwhelmed, and whoever shows up, shows up. It’s not a big commitment, and it just works as an automatic plan. See if there are playgroups already going on in your church or neighborhood, and if not, start one! Meet new people – Kids are a GREAT way to meet new people and make friends because it is SO easy to start a conversation about your kids. Take your kids to the park or indoor playground and just start making conversation with other moms. Video chat for Coffee – Let’s face it, some days it’s just too much to get out of the house. Schedules might be crazy and getting everybody dressed and ready to get out the door can be a lot of work. So once your kiddos are down for a nap or having quiet play time (or a movie! ), grab a cup of coffee and “meet” a friend over a video chat. Be sure to schedule it ahead of time, and be and mindful of each other’s time, but this can be a great way to sit down for a conversation without leaving the house. Make friends in your neighborhood – There’s nothing better than having a friend next door or just down the street! Start building relationships with the people around you by inviting a neighbor over for coffee or to take your kids for a walk in the neighborhood. Communicate frequently – It’s hard to build relationships when you only see someone once a week or a couple of times a month. Make it a habit to communicate frequently with your friends, whether that means getting together, talking on the phone, or just sending a “How are you this week?” text once in a while. Having children is a true blessing, but the time when they are little can be difficult to build and maintain relationships. Take the time to make friends and invite people into your life where you are and walk through the childhood years in real community. What are some other ways you can live in community as a busy SAHM?? 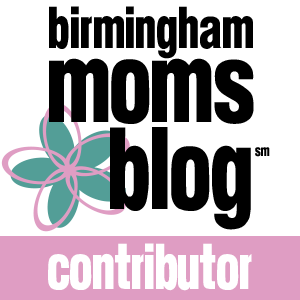 I’m excited to announce that I’m a new contributor for Birmingham Moms Blog! Growing up I didn’t just like to read, I LOVED to read. I was the kid who was supposed to be cleaning my room or coming down to dinner, but instead I was reading. I never went anywhere without a book, and at night I would crack open my closet door and turn on the light so I could sneak in and read (sorry, Mom!). Reading can be an education, an adventure, and an escape. Sometimes it means getting lost in a story in another world, and other times it means learning something new. Since becoming a mom I have hoped that my children would grow up as readers, but sometimes it’s hard to know how to foster that at a young age. These are a few simple things I recommend to raise readers. Being a mom is filled with many tasks and to-dos. And in-between the tasks there are a hundred things to be done that aren’t even on the list. “Mommy I need a bandaid”, “I’m hungry,” “Can you play a game with us?”. And because those are the things that are most important to me (and probably to you), it’s hard to feel like I accomplish anything most days. Oh good. I’m glad I’m not alone! But I have finally figured out how to get done the things that really need to get done. And the secret is actually really simple. I know, you’ve probably heard it before, and I had too. But the key has really been creating simple (SIMPLE SIMPLE SIMPLE) routines and following through with them every day with very few exceptions. Here’s exactly how I have done that. 1 – I wrote a list of the things that really needed to be done. And some of them were the things I was really struggling with. And to start with I kept it to the most basic things. I felt like I could add more things later if I felt like I got these under control. For me they are: Get dressed every morning. Empty the dishwasher and wipe the counters and table after breakfast. Start a load of laundry in the morning and have it put away before bed. Have the floors cleaned up before bed. 2 – Decide when those tasks need to be done and assign them to one of two routines: Morning Routine and Evening Routine. 3 – Create the exact routine for Morning and Evening with the needed tasks and WRITE THEM DOWN and POST THEM. This is KEY! I simply wrote the routines on sticky notes. My morning routine is in two parts because I have one part of the routine straight from getting out of bed before I leave my room and one part in the kitchen during and after breakfast. So I have a sticky note on my bathroom mirror that says: Put on clothes, Wash Face, tinted moisturizer. Then one in the kitchen says Empty and Load Dishwasher, Wipe counters and table, start laundry. Next to the Morning Routine is my evening routine. It says Load and Start Dishwasher, Clean off counters and table and wipe off, Make Coffee, Fold and Put away Laundry, Lay out clothes for tomorrow. That’s it. As long as I do those things the house doesn’t get crazy or overwhelming. And it was a lot of work to do all of those things at first, but with the help of the reminders and seeing what a difference it made they are now second nature. They have become a habit! Summer is for relaxing and slowing down. So who wants to spend those lovely summer evenings over a hot stove, or slaving away in the kitchen? Grilled Chicken Salad – At the beginning of the week I usually wash and chop up a big bunch of lettuce and vegetables that we can enjoy for salad a couple of times during the week. I like to eat grilled chicken on mine as well to really fill me up and give me the needed protein. Sometimes we will grill a few chicken breasts to have on hand, and sometimes I buy the precooked frozen chicken and just toss some in the microwave as we prep for dinner. Our favorite vegetables for salad are carrots, cucumbers and tomatoes, but you can find your favorites and experiment with different combinations. Fish – We buy the packages of frozen fish (salmon) from Aldi, so we always have fish in the freezer. I can pull out a couple of these in the morning to let them defrost then just add a little lemon juice and some simple seasoning and put them in the oven. SUPER easy. Our family favorites are this Greek Seasoning and Tony Chachere’s Creole Seasoning . To keep things really simple I will toss some frozen vegetables in a pot on the stove and we’re good to go.